At one point in my younger years I really did not like mushrooms and I really could not tell you why. Today I enjoy all different types of them, so I like to experiment and try them in a multitude of ways. This recipe will make a hearty appetizer or if you want you can serve it up with crusty bread to soak up the garlic flavored juices. Bon Appetit! First, core the stems from the mushrooms with a pairing knife, leaving only the cap. 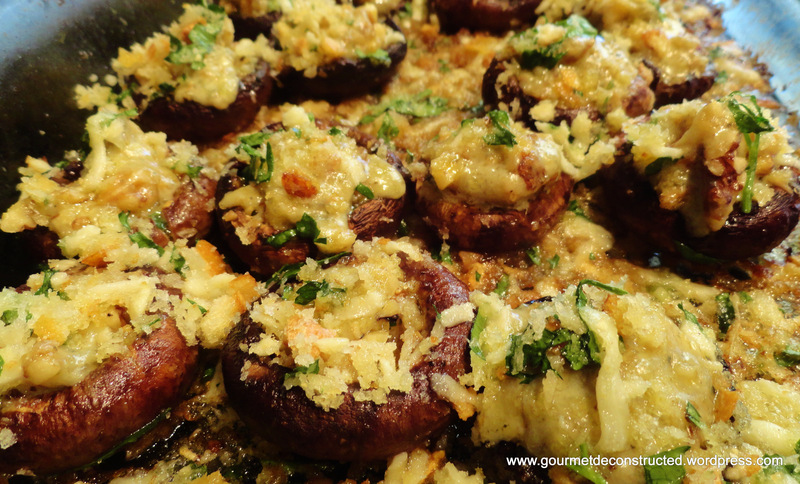 Pre-heat the oven to 400 degrees Farenheit and place the mushrooms in an ovenproof dish and sprinkle half the garlic over them, then drizzle about 3 Tbsp of the melted butter over them along with the lemon juice. Season with salt and pepper and bake 15-20 minutes. Remove from the oven and allow to cool. 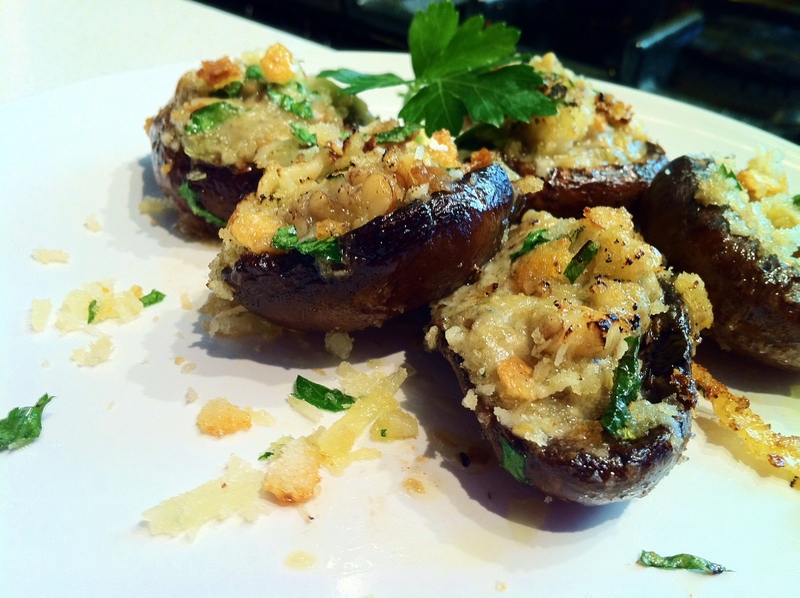 Posted on February 20, 2012, in Meatless Mondays and tagged stilton cheese, Stilton stuffed mushrooms, vegetarian. Bookmark the permalink. 4 Comments.